in that mission by donating 100% of our services. and addiction through education and community involvement. mission by donating 100% of our services. Celebrate your organization’s achievements throughout the year and show stakeholders the impact of their efforts. About More Than Just The Numbers. 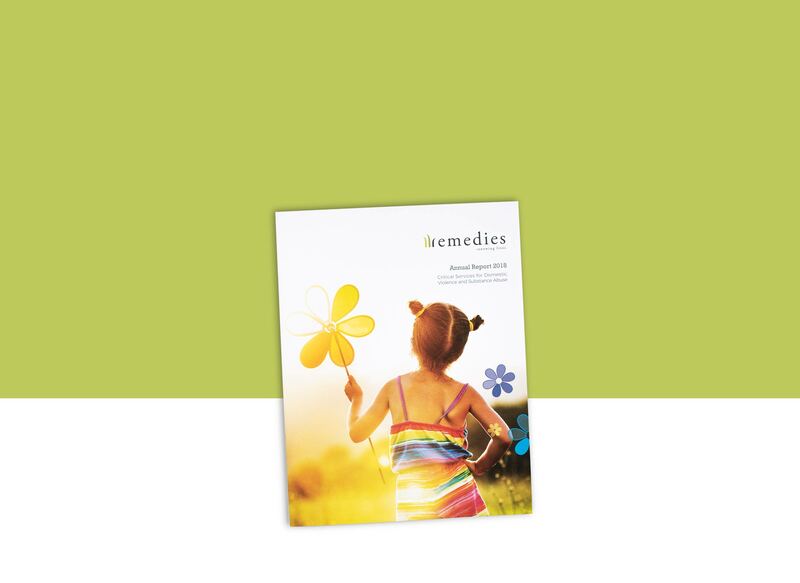 Remedies’ website was developed with multiple end users in mind. Service-specific information is clearly delineated and accessible for clients, both domestic violence victims and adults struggling with addiction. At the same time, the site functions as a fund development tool to educate and engage donors. Digital Hive Mind created an award-winning PSA highlighting the gravity of the domestic violence and addiction epidemics in our community and positioning Remedies as a resource for support and education to those struggling to break the cycle of addiction and abuse.